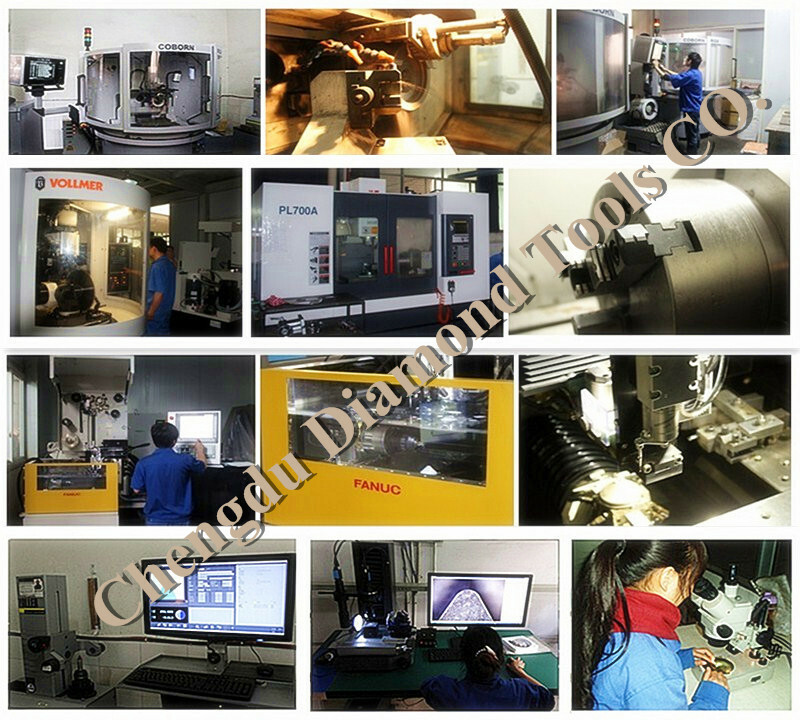 Located in Chengdu of China - the hometown of giant panda, Chengdu Diamond Tools establish since 2001, providing the cost-effective and best tooling solutions for individual application. Sales market covers dozens of countries all over the world including North American, Latin America, South American, Europe, Asia, Africa, and Middle East in the Automobile industry, Aerospace industry, Electrical industry, and woodworking industry. Behind our global success is a comprehensive product line supported by three world-class patents. Our range of products includes PCBN/PCD indexable insert, PCBN/PCD brazed tool, PCD roller tool, Woodworking router bit, saw blade, PCD Engraving Tool for stone, Tungsten carbide insert, and Threading Tool. Japan FANUC ROBOCUT cut machine, Germany VOLLMER sharpener, Germany Inspection device ZOLLER.